Begin with great customer onboarding! Long-term customer success builds customer trust, which we talked about last time as being a major factor to growing your business. It should start early and be consistent. Today we’re going to talk about the early factor of customer success: the onboarding process. Much like building customer trust, great customer onboarding is a process and the results should keep your business thriving. Great customer onboarding begins by asking questions. What does your customer want as the end result? Then make a plan to achieve these goals. This will require setting milestones, or goal deadlines. Reaching each milestone will show a succession of success. Consider sending new clients an email as soon as they schedule an appointment for a meeting or estimate. In this email, lay out what the client should expect from the meeting and what information they should be prepared to provide. Positioning emails like this immediately establish an open line of communication, set expectations, and build customer trust. Plus it shows your detailed and organized! Individualize each of your customers and make them feel valued and at home. This should be basic practice for all of your customers and will mostly be based on the goals you set. Periodic check-in’s are helpful for both you and your customers. Ask them how the process is going, if they have any questions, or if there is anything you can improve upon. PEP Users: the eBid is a perfect tool for personalizing the bid for each of your clients. Take some time to craft a great eBid template (make one for interior work and another for exterior). When you’re putting the bid together, include pictures of your client’s project. These pictures will appear in on the eBid. The pictures and a detailed bid that reflect your client’s unique needs – now that’s personalization! Educating the rest of your team on each of your customers is important for a smooth onboarding process. This will help in work flow and build trust in your brand as a whole. Standardize your process and WRITE IT DOWN. How will each person on your team answer the phone? What information will they record? Where will they record it? How will team members address clients? How will your team communicate with clients about specific needs? Phone? Email? How often will your team check in with clients? All of this ensures that your client receives consistent experiences with every member of your team. You are building a relationship with your customer that goes beyond the initial sale. So check in, follow up, and most importantly… communicate! Consistent communication during the customer onboarding process (and beyond) will make or break customer trust. Be available and responsive to questions. Most importantly: make sure your customers know they are important and you are there to help. 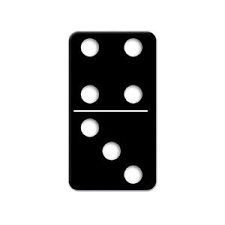 It’s a domino effect. Great customer onboarding will lead to customer success and trust. Trust will ultimately keep your business growing. 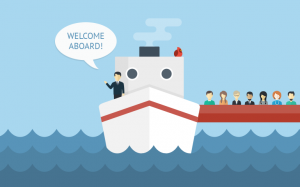 What is your customer onboarding process? The eBid is are greatest advantage. We are able to communicate with out customers and give them samples of our work, helping them to see how their project will be treated the same way.